delivery vehicles with state-of-the-art chemical transfer equipment. installed with equipment, chemical and supplies. Everything you need for a successful Treatment Program. The talented people at Aurora® innovated small drumless water treatment many years ago, long before other companies dreamed such systems were possible. 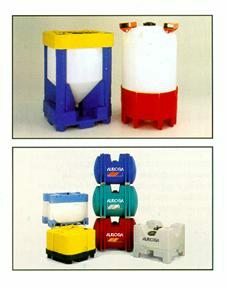 Today, Advantage-Pak® is the industry leader with innovations such as seamless crosslinked polyethylene tanks with see-thru liquid-level and optional containment with a no-fitting, leakless design plus all the qualities that made it great to begin with. So, if you are thinking about switching to our drumless water treatment system, you will discover that Aurora® doesn’t just beat the others, with Advantage-Pak® we’ve virtually redefined the performance standards for the water treatment industry. improve treatment performance and enhance overall plant safety. 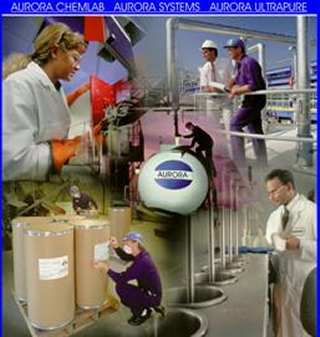 Advantage-Pak adds value- As part of our service agreement Aurora assumes responsibility for any needed repairs and maintenance of the pumps, tanks, piping and controls as well as the inventory control for all of the chemicals. This allows your technicians to concentrate on other tasks in your facility. A phone call to our office will initiate a service visit to perform the corrective action necessary. Advantage-Pak increases safety- All of our systems are installed with secondary containment to meet OSHA requirements and increase the level of safety by reducing the chance of a chemical release. Also, since Aurora handles all of the repair and maintenance it greatly reduces the risk of your personnel from coming into contact with the chemicals. this by implementing high-performance, comprehensive water treatment programs specific to your facility, equipment, and system requirements. 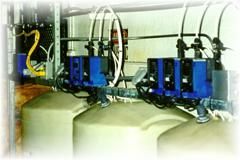 Aurora also has a fully trained technical staff that performs site visits on a regular basis to assess and report on all of the conditions which could impact the water treatment program and your equipments performance. Aurora is committed to be your partner every step of the way. Your equipments operational safety, integrity, efficiency, longevity, environmental compliance, and you the customer are all part of our primary focus.